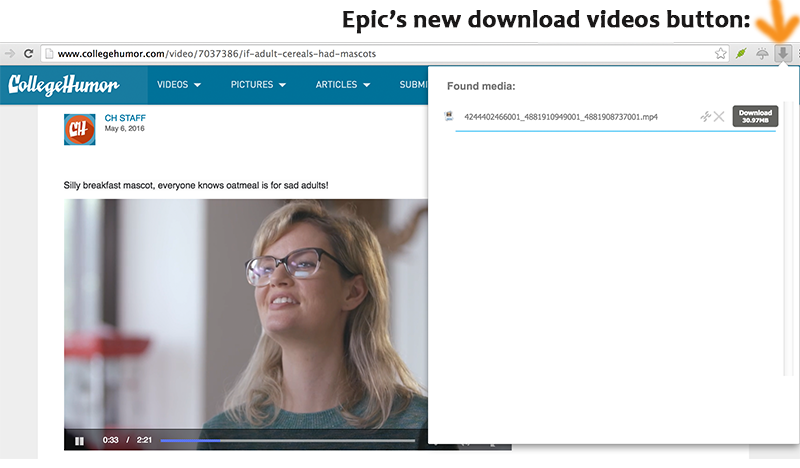 The Epic Privacy Browser now has built-in support for downloading videos from thousands of websites. At the top right of Epic, the download button lets you download media from any website. For a few websites including YouTube, Facebook, Vimeo and SoundCloud, Epic integrates download buttons into the webpages themselves. 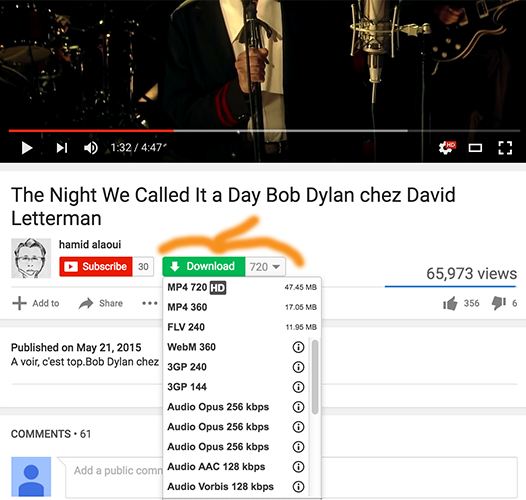 Download YouTube videos as video or audio. Epic places a download button in YouTube webpages. Download Facebook videos. 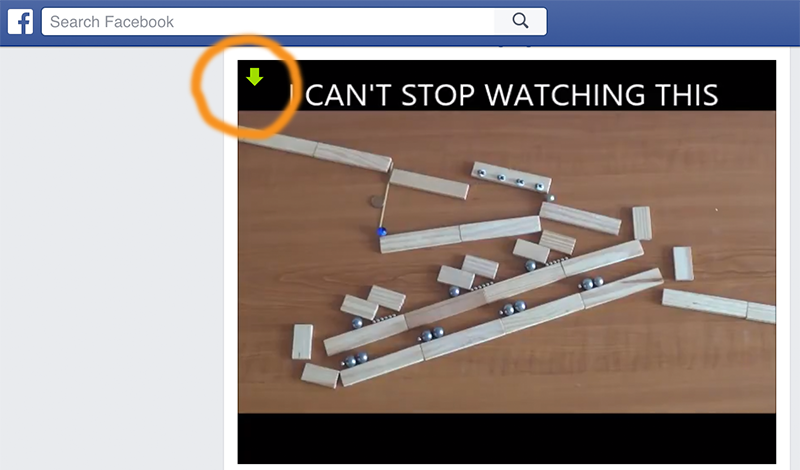 For videos hosted by Facebook, Epic places a download button in the top left corner of every video in your newsfeed. Download music at SoundCloud. Epic places a download button below every track. Download videos from Vimeo. Epic places a download button in the Vimeo webpage below the video. Are there any legal restrictions to downloading videos from Youtube and other sharing sites? Princeton assistant professor Arvind Narayanan and graduate student Steven Englehardt have conducted a massive research into how websites track users using different techniques. DO NOT OPEN THE FINGERPRINT LINK would not that be the safer advise? I opened the link via firefox in your poste and think this was a mistake as now my computer is fingerprinted and data stored/processed at Princeton DB, according to what the website confirmed. THe Download button disappeared on YT . Is there a setting that I may have turned off or is this a known issue. Hi THE DOWNLOAD VIDEO BUTTON HAS DISAPPEARED FROM THE EPIC BROWSER! Resetting the browser doesn’t fix the problem. Please HELP!! !